Kan CC. Structured approaches to the assessment of benzodiazepine dependence. 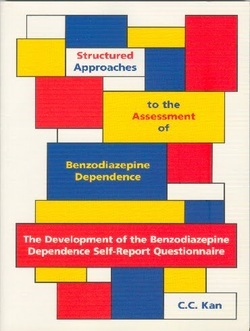 The development of the Benzodiazepine Dependence Self-Report Questionnaire. Katholieke Universiteit Nijmegen, 2000.